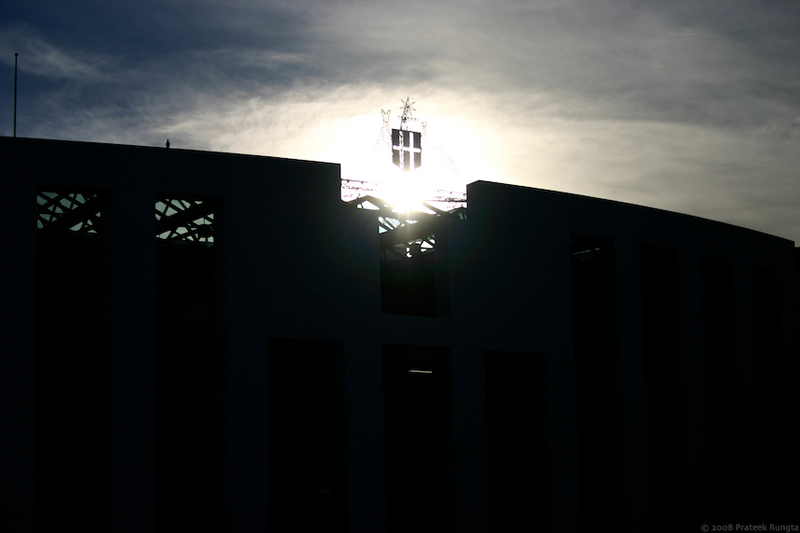 The 21st December sun sets over the Parliament House, Canberra. Nice shots. The 12 minute difference has changed the look of the sky in both photographs completely. Actually, the sky hadn’t changed much in 12 minutes. It’s the exposure difference that caused the silhouette effect in the above photograph. Ahem, this time I like the second one again! It’s there to be liked my friend!